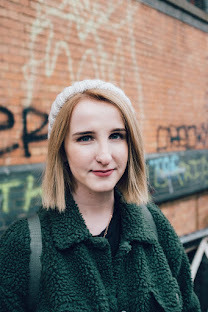 Image taken from the Daily Mail's article linked above. Super random and off topic post, I know. However how awesome is this?! If you are a lover of Marmite like myself, then this little tool is for you. It was designed after consumers complained about the difficulty of scraping the product out when it came to the end of the tub. It wasn't an easy task either! Apparently it took a whole 18 months to create the outcome! 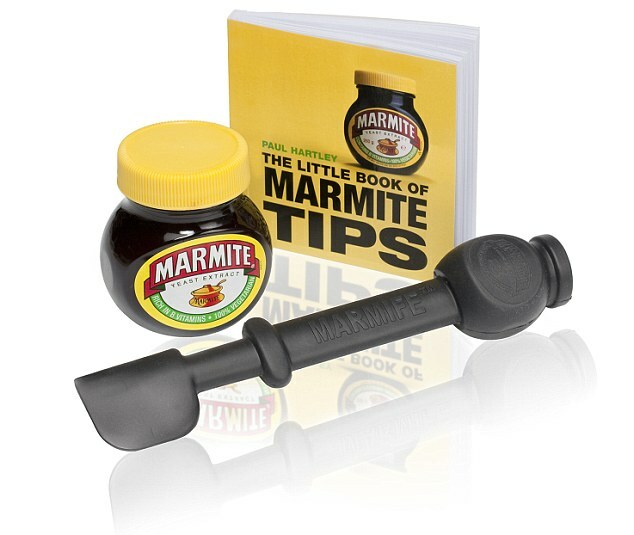 It comes in a pack, which includes a tub of Marmite, A 'Little Book Of Marmite Tips' and of course, the new invention. To coincide with this, a limited edition of the product has been launched, which is presented in a gold jar and includes edible specks of gold inside. The Marmife pack is available exclusively to Debenhams for £13.99, with the limited edition Marmite being sold nationwide for £3.99. For more information, check out The Daily Mail's article, here!